Exercise is a vital part of everyone’s life, but not everyone participates in it for one reason or another. One of the main reasons that people either do not start exercising or give up after a short period of time is because they lack the motivation. Increased motivation is one of the main reasons that people choose to use a personal trainer in their exercise regime. In order to battle the motivation loss, Eden Prairie personal training can keep you excited about exercise and to avoid getting bored. Since one of the largest reasons that people give up exercise is for no other reason than boredom, incorporating a personal trainer into your workouts will ensure that you do not get bored and prematurely give up your exercise routines that are vital to good health. Exercise is important for everyone no matter how healthy or unhealthy they are. Even if you think you do not need to exercise because you are happy with your weight, you need to exercise for your heart and other vital organs. For optimum health everyone needs to exercise and the best way to get the best workout is with a personal trainer. Fast results ? 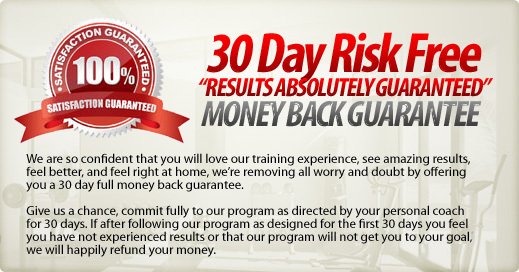 Another great benefit that anyone will gain when they use an Eden Prairie personal training is faster results. A personal trainer has gone through training to learn which exercises work the best or different body types or different goals. Knowing the right exercises to do is half the battle, and when you use a personal trainer, you will realize results much faster. Safer exercising ? When you work out on your own, whether at home or at the gym, you run the risk of serious injuries if you do a particular exercise or machine wrong. The results can be detrimental to your health so it is definitely beneficial to have a personal trainer show you the proper way to perform your exercises. Responsibility ? Even people that pay for a gym sometimes lose their responsibility to go to the gym after a while because the payments become habitual and you do not even see them any more. A personal trainer however is an actual person that will hold you accountable for showing up and doing the exercises that he/she recommends. Individual attention ? Typically a personal trainer works with his/her clients on an individual basis. This allows the personal trainer to really get to know you and your body type as well as what exercises are your strengths and which are your weaknesses. Choosing a personal trainer over a group class or other form of exercise will allow you greater results in a shorter amount of time. Using Eden Prairie personal training is one of the best ways to stay motivated to work out as well as get faster results, stay safer and healthier, have responsibility and gain individual attention on your exercise goals. You will enjoy all of these benefits and more by choosing to use a personal trainer to meet your health and wellness goals.